Organic India Bowel Care capsules consists of bel and isabgol that are highly beneficial in cleaning the entire gastrointestinal system. It helps in complete elimination of toxins and waste stored in the intestinal tract and provides relief from constipation. Bowelcare capsules relieves from irritable bowel syndrome, constipation, indigestion, dyspepsia and hyperacidity. It also improves body's ability to absorb nutrients from food by cleaning the waste and toxins from the intestinal wall. 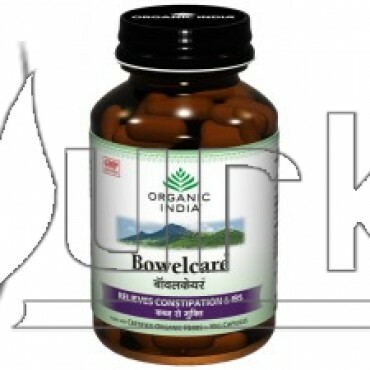 Bowelcare from Organic India is very useful in esophagitis, gastritis, GI ulcers, gastroenteritis, diverticulitis, colitis chronic diarrhea, chronic giardiasis, amoebic ad bacterial dysentery. Direction of Use: Take 1-2 capsules of bowelcare two times a day with meals at least for 3 months. It is recommended to be taken along with triphala in case of severe constipation. 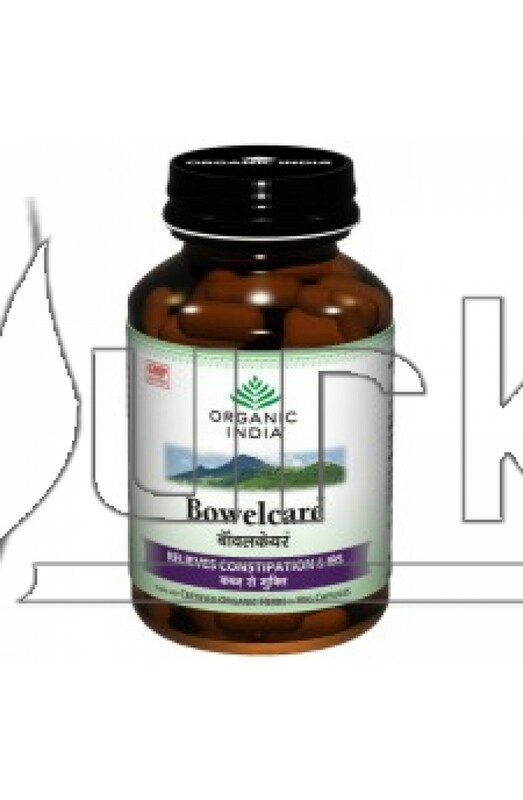 Packing: Bowelcare from Organic India is available in bottle pack of 60 capsules.